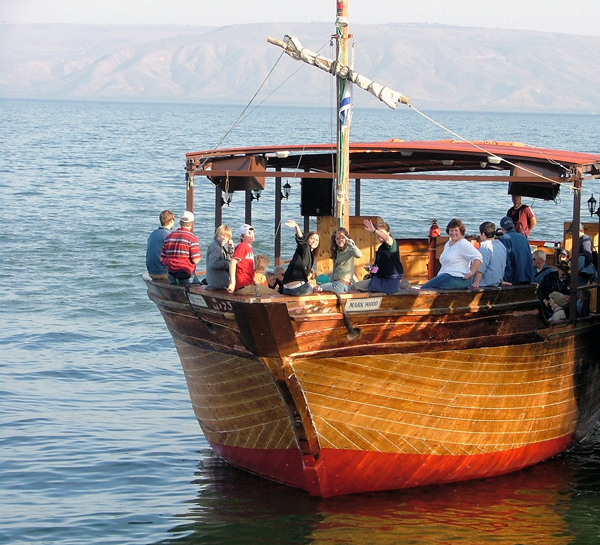 One of the most popular experiences included in our Christian tours of Israel is the boat ride on the Sea of Galilee. 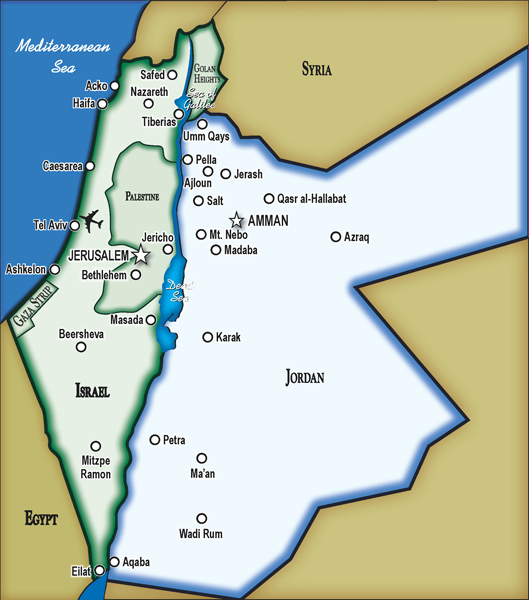 The Sea of Galilee is actually a large freshwater lake, 13 miles long and 8 miles across, better known in Israel as Kinneret, Gennesaret or Lake Tiberias. 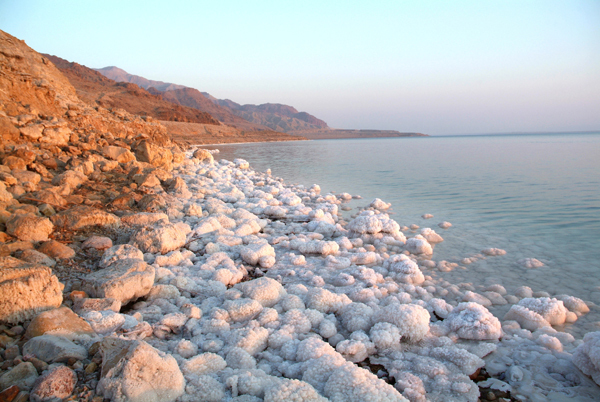 The lake feeds the Dead Sea, via the Jordan River, and, at roughly 700 feet below sea level, it’s the 2nd lowest lake on the planet, after the Dead Sea. 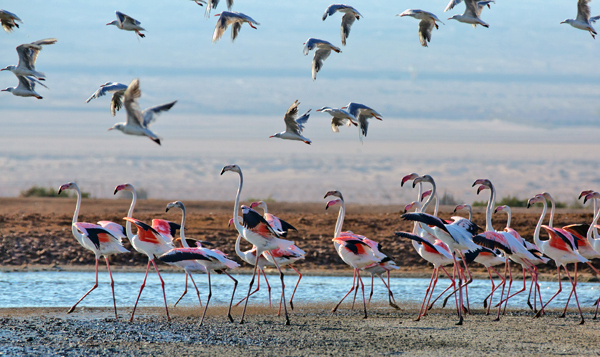 It’s located in the Galilee region in northern Israel. During a period of severe drought in 1986, the lake receded significantly, revealing the remains of an ancient boat buried in the sediment. 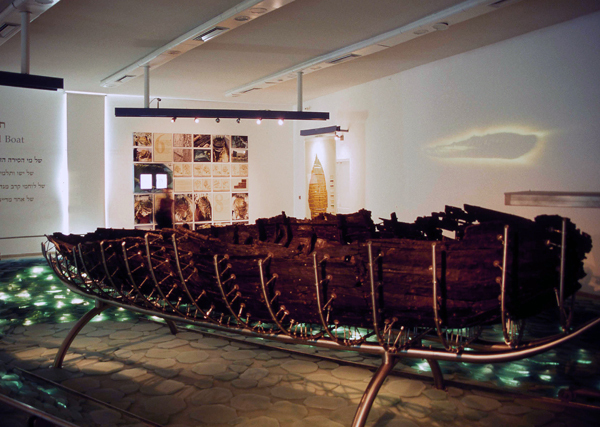 The boat was excavated and dated to the 1st century, the time of Jesus. The boat is now housed in a small museum at Kibbutz Ginosar on the western shore of the lake. 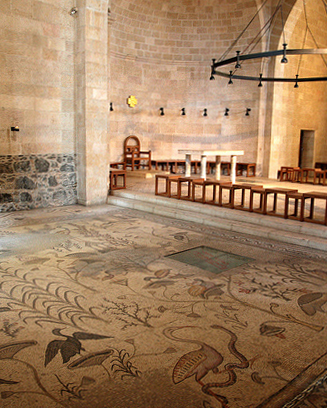 Close replicas of the boat take passengers on the lake past Christian sites, such as Tabgha (site of the multiplication of the loaves and fishes) and Capernaum (the headquarters of Jesus’ ministry), and stop to visit the remains of the ancient boat. 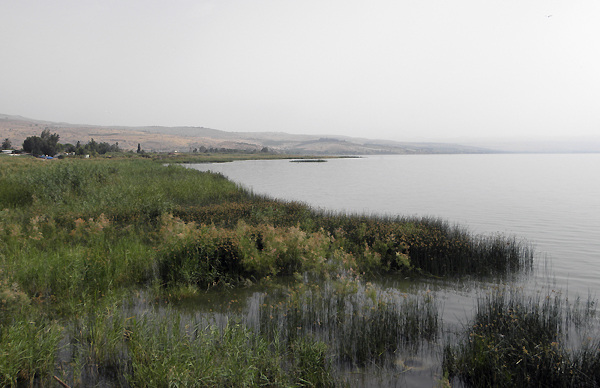 For Christians, the lake and its surroundings are significant as the area where much of Jesus’ ministry and many of his miracles took place. Four of Jesus’ disciples were fishermen on the Sea of Galilee, the brothers Simon Peter and Andrew and the brothers James and John. One day, after hours of pulling up empty nets, the four fishermen had just pulled into shore. (Andrew was already a disciple of Jesus, the first, but he hadn’t yet convinced the others.) Jesus approached and asked Peter to take him out on the lake a little way so that he could better address the crowd that had gathered to hear his teaching. Later, after the crowd had dispersed, Jesus asked Peter to move into deep water and cast out his nets. Peter thought this would be a waste of time, based on his experience earlier in the day, but out of respect, he did as Jesus asked. 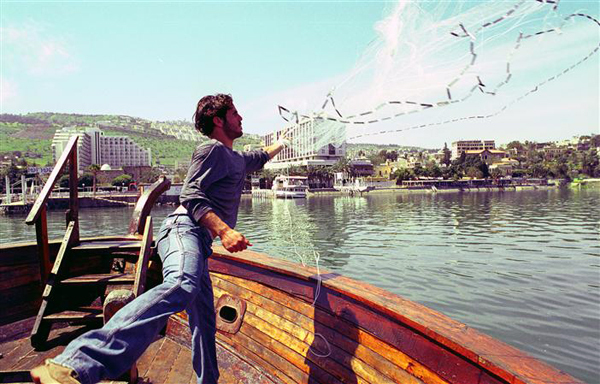 When the nets were pulled in, they were so heavy with fish the boat couldn’t hold them all. James and John came to help and their boat was also filled to the brim with fish. Jesus gained three more disciples that day. Later in his ministry, Jesus had spent a long day preaching to a large crowd near the lake and needed to rest. While he and his disciples sailed to a quiet spot on the opposite shore, Jesus took a nap. When they reached the middle of the lake, a nasty squall rose up, bad enough to terrify the experienced fishermen on board. 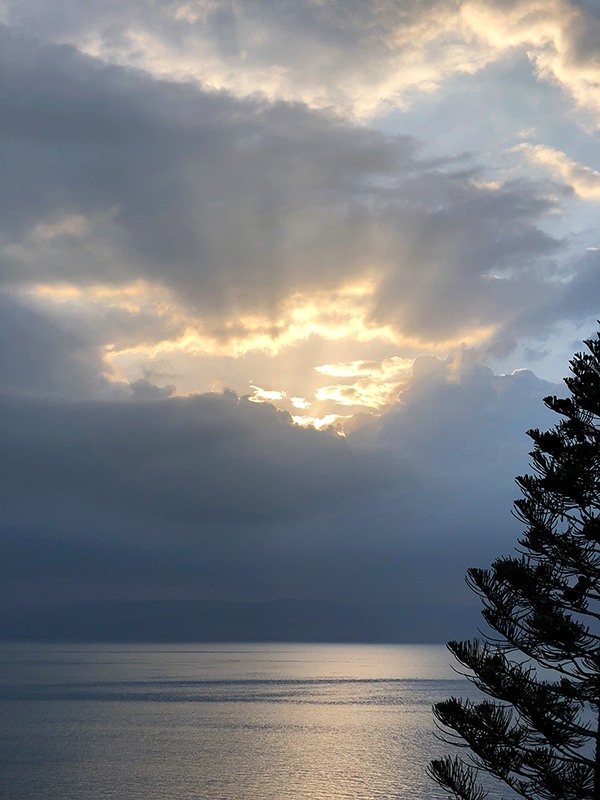 Jesus slept peacefully through the waves crashing on the deck and the pitching and rolling of the boat, until the disciples woke him, certain they were about to die. He told the storm to simmer down, which it promptly did, expressed his disappointment in his disciples’ lack of faith, and resumed his nap. I could go on and on about Jesus and the Sea of Galilee, but I’ll save some stories for future posts. 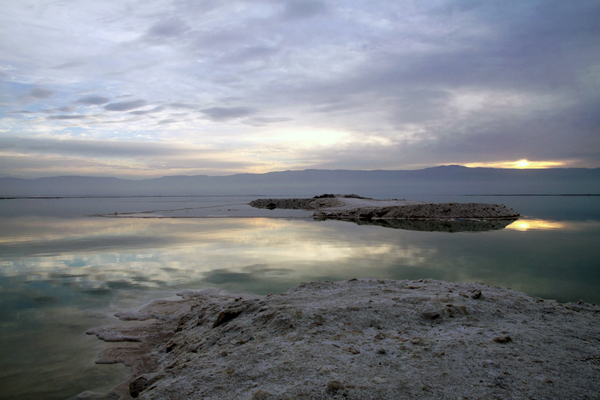 The city of Tiberias on the western shore of the lake makes a good hub for visiting the area. 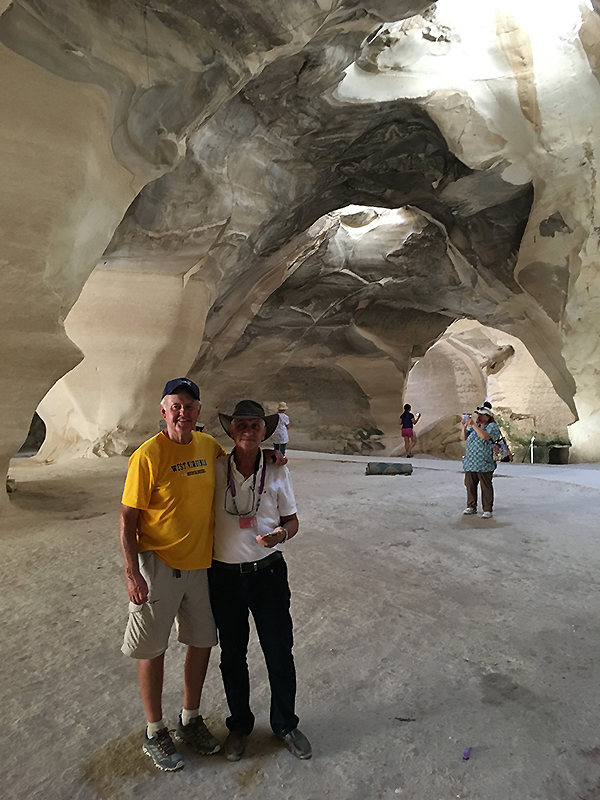 For privately escorted Christian tours that include a boat ride on the Sea of Galilee and a visit to the ancient boat at Ginosar look here and here. 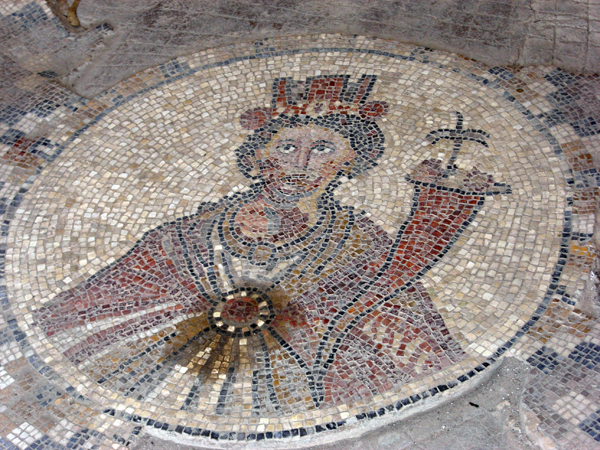 This mosaic floor from a 3rd-century church at Tabgha was incorporated into the newer Church of the Multiplication, which stands on the site. 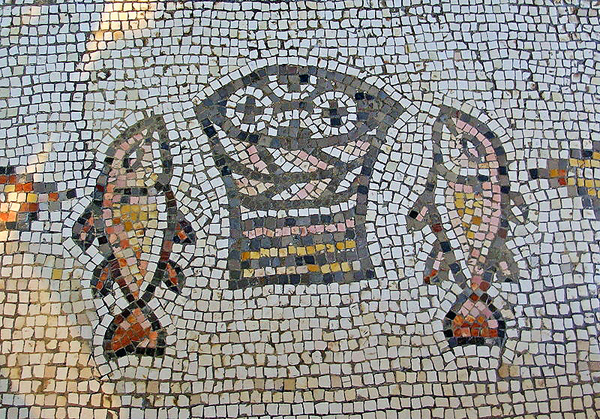 Tabgha is the site on the northwestern shore of the Sea of Galilee traditionally believed to be where Jesus miraculously multiplied two fish and five loaves of bread to feed 5,000 men plus uncounted women and children. After a long day of walking from village to village and teaching, Jesus and his disciples were tired and hungry. 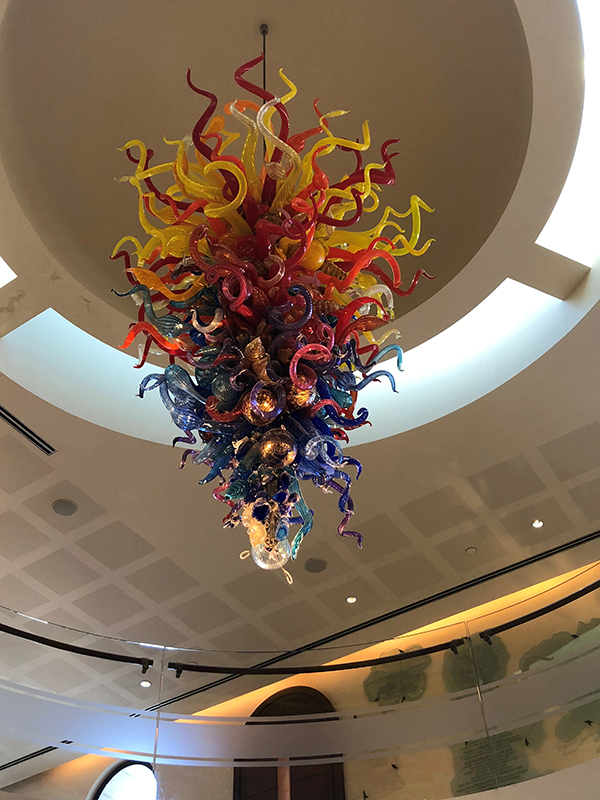 They went to a secluded place to rest, but were met by a huge crowd of people who came from all around to hear from this man, whose reputation as an enlightened teacher preceded him. There beside the sea, with the breeze in the palms and the waves lapping the shore, a multitude of faces looked to Jesus with hushed anticipation. Jesus knew that many of the people were missing their dinner to be there, so he told the disciples to feed them. “With what?” they asked. “We have exactly 2 fish and five loaves of bread, barely enough to feed ourselves.” He told them not to worry and sent them out to organize the crowd into smaller groups. Then he prayed over the food. When the disciples returned, Jesus began handing them bread and fish to distribute to the people. The food kept coming until everyone was fed. There were even leftovers, enough to fill 12 baskets. Later than night, after the people had all gone home, Jesus went off by himself to pray. Just before dawn, when he saw the disciples out on the lake, struggling to row against the wind, he walked out to them. They thought he was a ghost and were pretty alarmed. Jesus assured them he was not a ghost but Peter wanted proof. Ghost or not, it had to be a shocking thing to see. So, Jesus told Peter to get out of the boat and join him, standing on the water. Peter got out of the boat and took a few steps, no problem, but when he took his eyes of Jesus, he began to sink. Jesus grabbed him and hauled him safely into the boat. 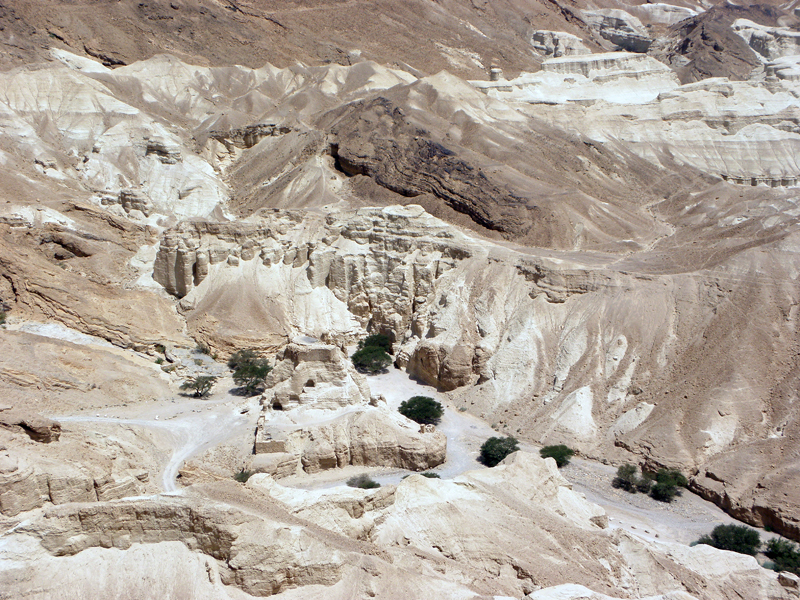 Tabgha is usually included in Christian itineraries of Israel. 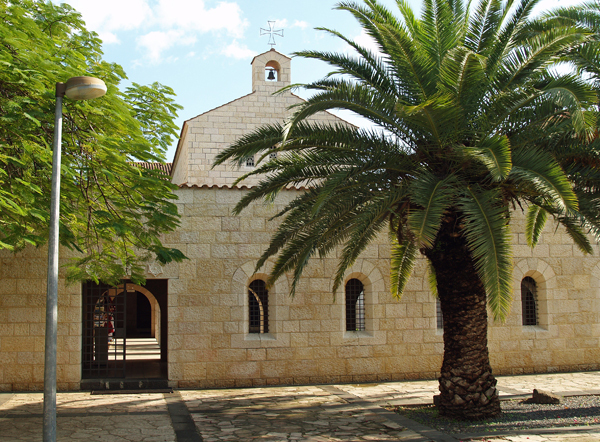 The city of Tiberias makes a good hub for touring the Galilee region. 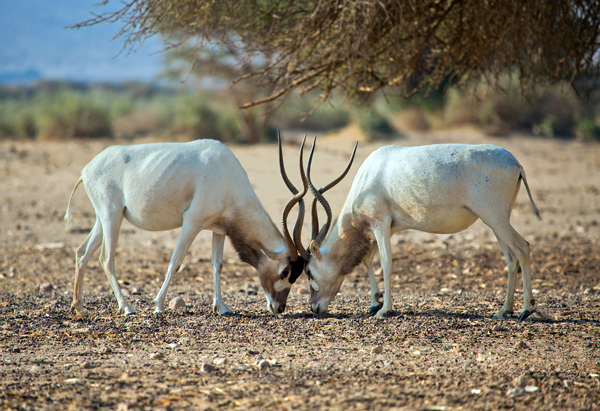 For itineraries that include visits to Tabgha click here and here. 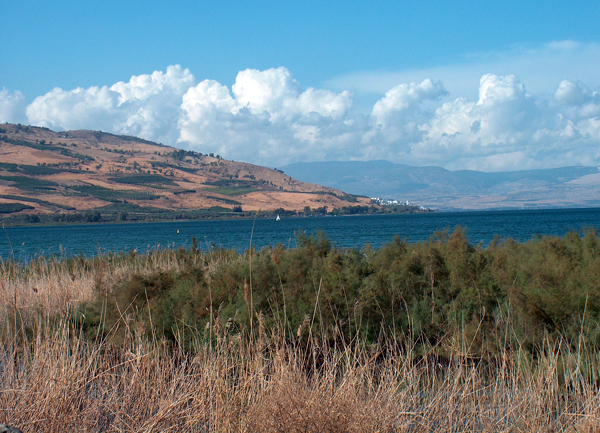 Read about the “Jesus Boat” discovered in the Sea of Galilee here. 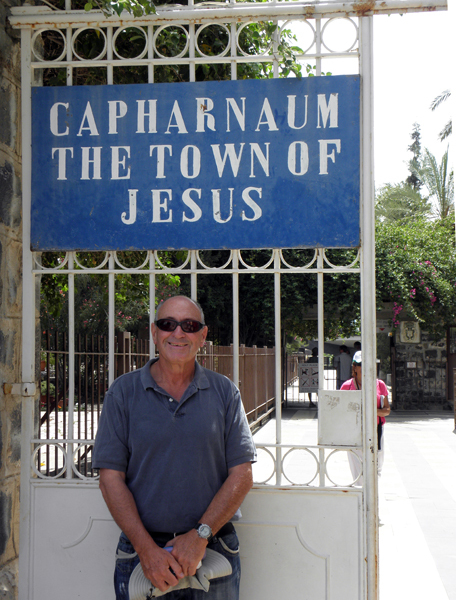 After leaving his hometown of Nazareth, Jesus made Capernaum, on the northern shore of the Sea of Galilee, the center of his ministry. 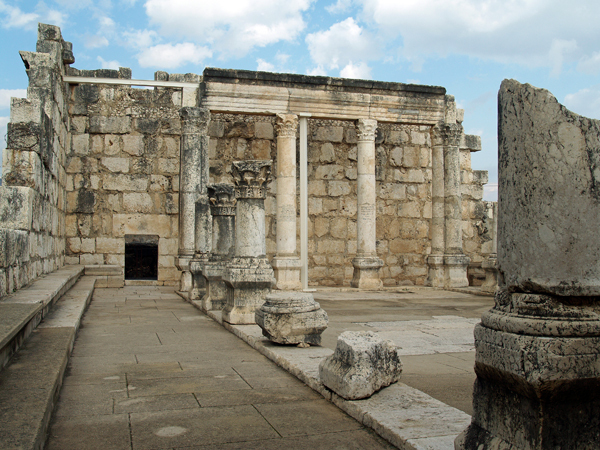 The Gospels tell many stories of Jesus teaching and healing there. 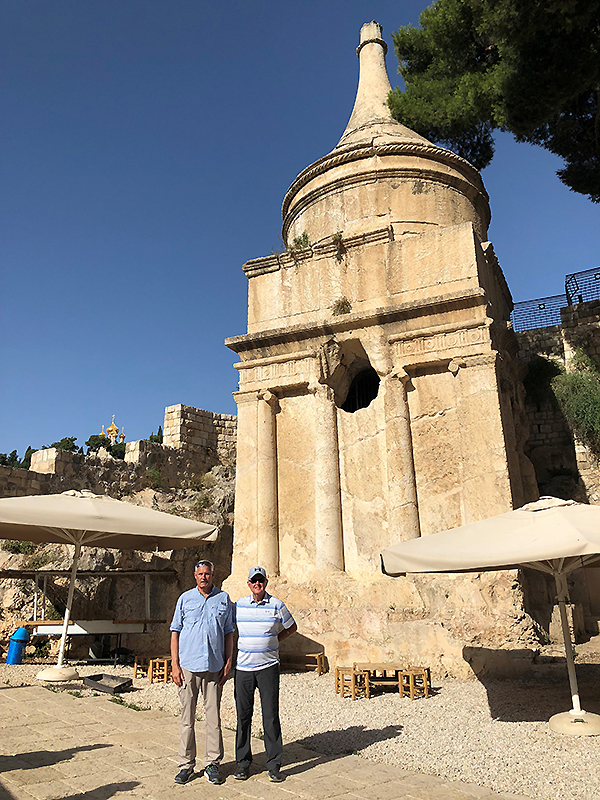 Today, you can see the remains of a 4th-century synagogue, which stands on top of an earlier synagogue that is likely the one where Jesus preached. The remains of Peter’s House and the 5th-century church built around it can be viewed through the glass floor of the modern church built over the site. The tradition that the house belonged to Peter (the disciple of Jesus also known as Simon) goes back to the middle of the 1st century. 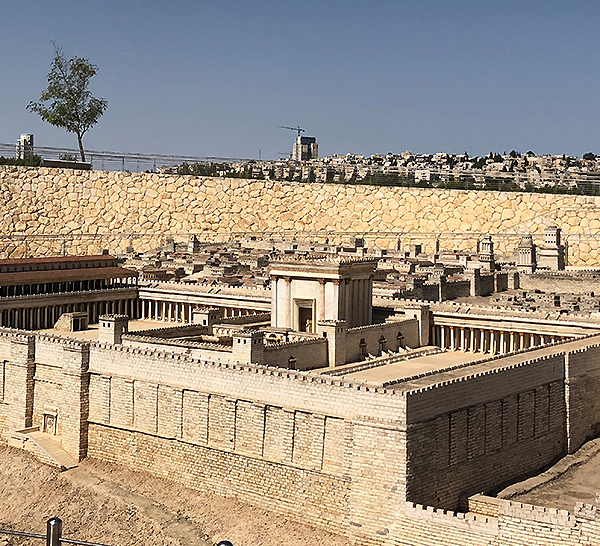 Beit She’an, Israel – Stunning Greco-Roman Ruins and More!